Ministry among the Poor. . .
Five Talents' work around the world is inspired by the biblical Parable of the Talents and the call of Jesus to minister good news to the poor. 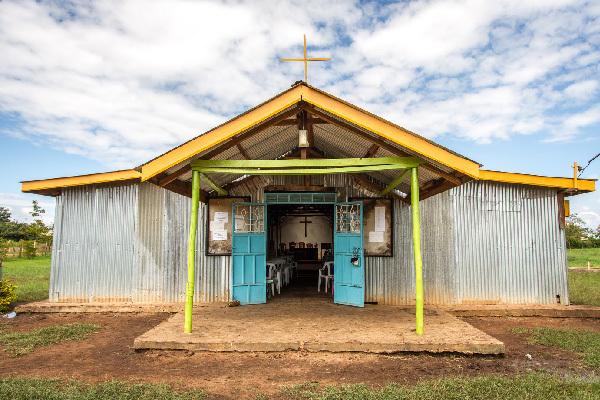 Five Talents works closely with local churches to offer financial literacy training, small group savings, business development, and spiritual formation to those living in extreme poverty. We focus on marginalized communities and areas where traditional mission agencies do not reach. Our programs are open to participants from any faith community, but lessons are drawn from the Bible and the training and small groups are coordinated in partnership with local churches or Christian development organizations. Evangelism and gospel proclamation are not featured directly in our training curriculum; however, through prayer, small group fellowship and the involvement of local churches, there are many opportunities to share the message of Christ in word and deed. In Indonesia, over 90% of program participants are Muslim. In Myanmar, many of the participants come from Buddhist backgrounds. In other countries where we work, the majority of participants are Christian. Despite only having a fifth grade education, Maria found her voice and gained the confidence to lead her community. As a family learns to save, they transform their one room house and prepare to build their own home. Amidst poverty and insecurity, community banks promote social cohesion and provide financial services to the poor in South Sudan. Angelina survived an attack on her village. Read her incredible story of loss, redemption, and new hope. Vicenta is a poultry vendor in Southeastern Bolivia. As a member of a Five Talents' savings group she's received training and access to loans to develop her business. During desperate times, where can the vulnerable poor turn to find hope? This is Aisha's story.